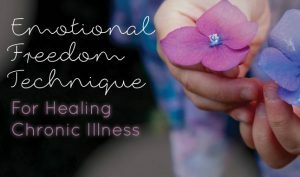 I am thrilled to be talking to you about Emotional Freedom Technique (EFT) and how it can help to heal chronic illness. 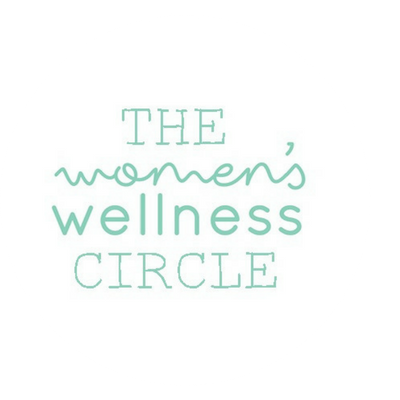 I am passionate about this because of the profound effect this simple and effective tool had on my own five year healing journey from Chronic Fatigue Syndrome. Towards the end of that journey I discovered the joys of EFT and it was instrumental in my transition to full health and sustained wellness. In my first little taster of EFT I moved from feeling overwhelmed and deeply upset, to a deep and lasting sense of relief, in a matter of minutes. Now this was a tool I wanted to learn more about! In the ten years since my recovery I have trained in many therapeutic modalities and Emotional Freedom Technique has become my core approach. I’ve witnessed countless clients make deep transformations with chronic conditions such as ME/CFS, Fibromyalgia, Multiple Chemical Sensitivities, IBS and chronic pain. ~Our fears about symptoms and our capacity to recover… so we can get our body and mind in the right place to begin healing. ~Our present life triggers of emotions or stress… so we can keep our system as calm as possible to support healing. ~Our difficult life experiences and traumas… so we can bring relief and support clearing the roots of illness. ~Our beliefs about ourselves and the world which hold us back… so we can transform them into positive beliefs that empower us and help us move forwards to where we want to be. EFT is sometimes described as acupuncture without the needles as it involves tapping on acupressure points on the face and body while using words to tune into the physical or emotional aspect of the issue you’d like to heal. 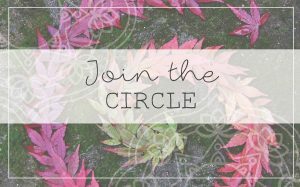 If you’d like to have a taste of the tool, please visit here for an intro of how to use it for chronic illness.